The Office of Alumni Development wishes to congratulate all Fall 2018 graduates! 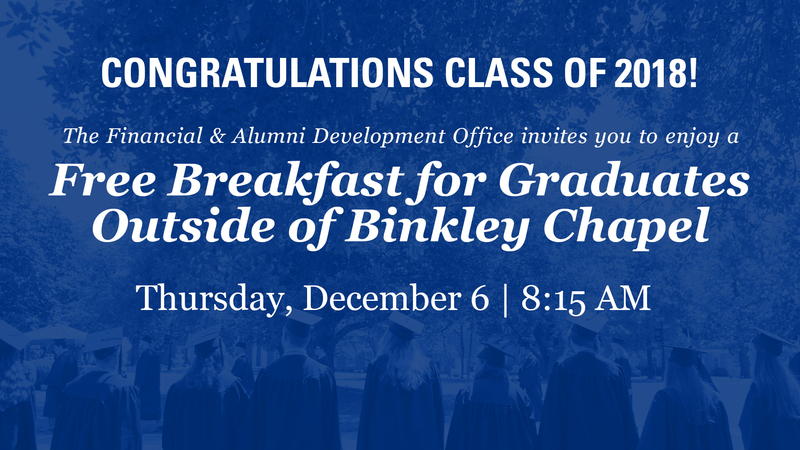 Please join us outside of Binkley Chapel for breakfast, coffee, and juice in your honor on Thursday, December 6 at 8:15am. Photo opportunities and a gift will also be given to each graduate.